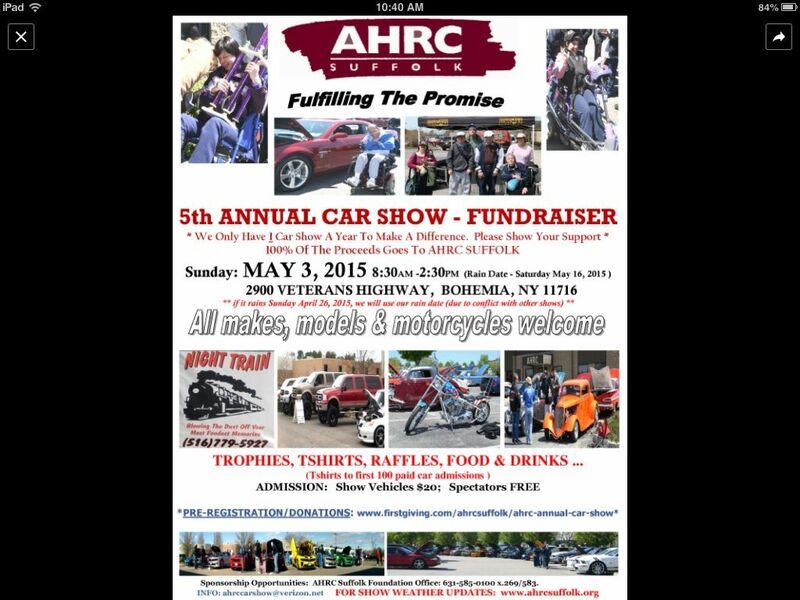 After much planning, the date for our annual AHRC Carshow Fundraiser is Sunday, May 3, 2015. It's been a long and snowy winter, and I haven't seen many people. As you know, I need the help and support of everyone. Please attend, and please spread the word. As many of you know, it's a show that I started for this wonderful organization. AHRC serves the needs of children and adults with developmental and physical disabilities. 100% of the proceeds goes back to the school. The funds have helped rebuild a playground; purchased equipment; create a safe walkway; and purchased IPADS to be used as communicative devices. It's been a long and snowy winter, and I haven't seen alot of you guys. See you there Kevin, always looking forward to your show. I'm in,I'll use the front door this time! Good seeing you again on sunday. Is there a meet up spot for AHRC on 5/3? some of us are getting there early to help kevin set up. Count me in! Let me know if you need anything. Can you use an extra pair of hands Sunday morning? 1) Help in the AM setting up. 2) need 2 people at the front regi desk. 4) someone who wants to help judge. ( its not a hard job ). Overall appearance. It will take an hour. It will be a group of 3. What time to set up? Hey kevin, I can help with anything you may need, On vacation in Vegas right now . Will be back Friday night . Just text or call my cell , I'll be around buddy . Steve. Anyone meeting for coffee at DD before heading over tomorrow morning ? What time do you need people there to help out? What time will everybody be showing up? Let me know I was planning to get there by 7:30. If you need me there earlier let me know. So no cooking for the boys !! Plus i dont want to get sued for sals raw burgers. So i will let you know. morning set up and registration desk is important. Also, i would like maybe 1 or 2 people at the Ahrc / vets hwy entrance to let people know whete we are. A huge thanks to all !!! Dad and I will be there so just let me know how we can help. 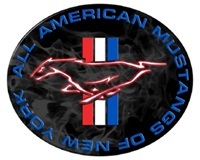 Thanks to all of AAMNY for all you do to help me out in this annual carshow fundraiser. Your continued support means alot.